Securities and Exchange Commission (SEC) crypto czar Valerie Szczepanik paused her nonstop conference-jaunting long enough to release token “guidance” for entrepreneurs and industry professionals. The document itself was unsigned, but the “public statement announcing it” was co-signed by Ms. Szczepanik and SEC Director of Corporation Finance William Hinman. The “guidance” purported to “provide a framework for analyzing whether a digital asset has the characteristics of one particular type of security – an “investment contract.’” Its most notable feature, however, is the buck-passing prose that typifies commission crypto-decrees. This document underwhelms in cogency, time, value, and cost. 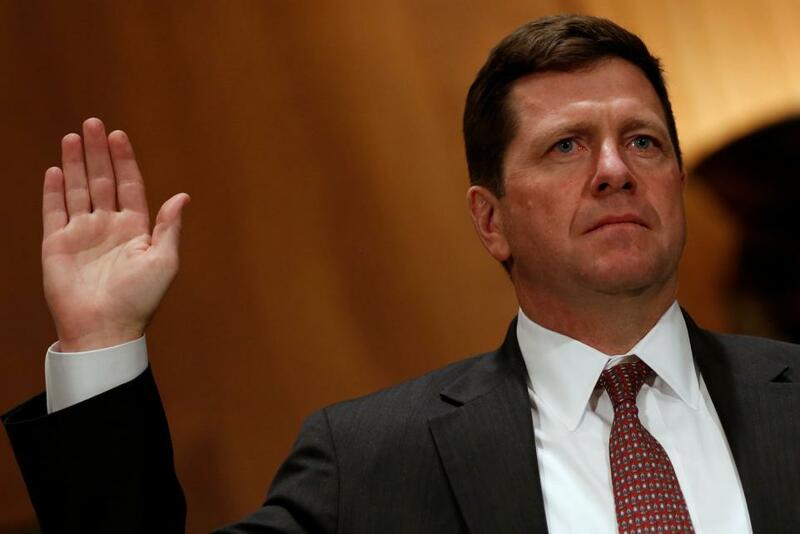 According to media reports the SEC toiled a half year on the 13-pager. Given that timeframe, it plausibly cost the taxpayers around $250k in labor. In 2017, Ms. Szczepanik earned nearly quarter-million dollars (not counting benefits), it’s probably more now with her new title. Records list Mr. Hinman’s 2017 salary at $217k but he only started in May of that year so that may be prorated. Both have hordes of lawyers and support personnel who surely contributed. This framework represents the views of the Strategic Hub for Innovation and Financial Technology (“FinHub,” the “Staff,” or “we”) of the Securities and Exchange Commission (the “Commission”). It is not a rule, regulation, or statement of the Commission, and the Commission has neither approved nor disapproved its content. Further, this framework does not replace or supersede existing case law, legal requirements, or statements or guidance from the Commission or Staff. Rather, the framework provides additional guidance in the areas that the Commission or Staff has previously addressed. In case anyone thought to discard the warning as necessary boilerplate, the document itself disabuses that notion. The word “may” appears 22 times. It cites only one case from this century, the rest are: 1943, 1946, 1967, 1973, 1974, 1976, 1985, 1992, and 1994—times of peak relevance for cryptocurrency and digital assets. The document provides little new from the SEC’s previous token statement, the two-year old DAO report. In sum, the SEC will use the dated Howey Test, and consider other factors that “may” be important but only “some.” Don’t go thinking this is “exhaustive.” Essentially this document resembles the work of a nervous first-year associate at a mid-level law firm. But what cost the hypothetical firm two-days of billables took the SEC six months and cost perhaps a quarter-million dollars. Anyone surprised by the SEC’s latest non-move hasn’t paid attention. Everyone knows tokens caught the commission flatfooted, even though the first ICO happened six years ago. To catch up it appointed a ‘Senior Advisor for Digital Assets and Innovation.’ One might think the lack of foresight that made the position necessary would evince a need for new thinking, perhaps someone familiar with the entrepreneurial grind. One would be wrong. This is true but has other effects. It leaves regulators with massive discretion. It gives them enormous power over the economy with no responsibility for the results. It mandates entrepreneurs approach them hat-in-hand for permission. And it makes them sought after speakers on the conference circuit. But it’s a zero-sum game. Every unit of power Ms. Szczepanik reserves for herself and her colleagues removes it from job producers. Every ambiguous pronouncement shunts billable hours to lawyers and compliance professionals instead of research or marketing. Those building tomorrow’s economy need the flexibility not bureaucrats. They will power our future long after Ms. Szczepanik takes her professorship or retires to a nonprofit. In her taxpayer-funded conference appearances, where the commoners sometimes pay upwards of $1000 per ticket, Ms. Szczepanik takes the same NPC posture reflected in the guidance. As she repetitively recites the ‘facts and circumstances’ benchmark as applied to the Howey Test and so on. The lack of monetary consideration for digital assets, such as those distributed via a so-called “bounty program” does not mean that the investment of money prong is not satisfied. As the Commission explained in The DAO Report, “[i]n determining whether an investment contract exists, the investment of ‘money’ need not take the form of cash” and “in spite of Howey’s reference to an ‘investment of money,’ it is well established that cash is not the only form of contribution or investment that will create an investment contract.” . . . Further, the lack of monetary consideration for digital assets, such as those distributed via a so called “air drop,” does not mean that the investment of money prong is not satisfied; therefore, an airdrop may constitute a sale or distribution of securities. In a so-called “airdrop,” a digital asset is distributed to holders of another digital asset, typically to promote its circulation. How do people paying nothing and if fact unaware beforehand they are getting a token “purchase” a security? The SEC doesn’t say, although it describes them as “purchasers” throughout the document. It seems little harm to abjure a token received without any consideration, even if it might someday acquire value and be traded. With such value, later purchasers would rely on track record not mind-numbing risks few read. Fake value contrived through fraud is actionable on its own. This is not to criticize anyone personally. SEC personnel act in their own interests like everyone else. It benefits them to retain power while disclaiming away responsibility. Turf wars are fun when nothing’s at risk except ego. It is the not the individuals but the culture within the government that must change. It is what I’ve called the Machine—the cabal of mostly Ivy League and east-coast lawyers and intellectuals who flock to Washington, embed in name-brand agencies, and end up producing useless documents that take six months and cost a quarter-million dollars. Before her premature death, Amy Winehouse sung about the Machine in “Valerie.” Although ostensibly about reconnecting with a troubled companion, a deeper analysis reveals Ms. Winehouse’s prescience in crooning about the tensions between SEC bureaucrats and the economy builders of the future. Well, sometimes I go out by myself, And I look across the water . . . The water is the metaphorical gulf Ms. Winehouse recognized between entrepreneurs building the digital economy and SEC bureaucrats. And I think of all the things of what you’re doing. In my head I paint a picture . . . Here Ms. Winehouse wondered what SEC bureaucrats could be doing that it took them six months to put out guidance a first-year associate could have produced in two days. What are they doing? Did you have to go to jail? Put your house out up for sale? Did you get a good lawyer? Here Ms. Winehouse referred to issuers like Kik who sold tokens in 2017 in the midst of the SEC’s uneven guidance. She referred to the need for these people avoid jail and get good lawyers lest the SEC use it unlimited resources to bankrupt them. Did you have to pay that fine? That you were dodging all the time? Are you still dizzy? Here she referenced to SEC Enforcement, which admits it bullies companies into settlements warning them essentially, it has unlimited time and budgets because after all it has the power and “flexibility.” It made Ms. Winehouse dizzy. Here Ms. Winehouse pleas on behalf of the crypto community for crypto czars to take a break from nonstop taxpayer-funded travel and see what entrepreneurs are doing. And warning she may have to involve Congress if the SEC continues intransigently. So how about it, SEC? Come on over. SAVE THE DATE – Equity Crowdfunding Panel, what you need to know! Equity Crowdfunding can help capitalize your business! Are you an entrepreneur or small business owner looking to raise capital? Have you tried going the VC route? or don’t want a loan? Equity Crowdfunding through Reg CF may be the right move for you! Come listen to securities lawyers Paul H. Jossey and Maureen L. Murat discuss the basics of this exciting new way to raise capital from 5:30PM to 8:00PM on April 25 at WeWork, 80 M Street, SE Washington, DC 20003. Topics discussed will include: Types of crowdfunding/benefits for company of Reg CF, Legal requirements/”reality” of successful raises, Following up after the raise/risks, Future fixes to Reg CF, Doing a token sale through Reg CF, and Reg CF leading to Reg A+. The Securities and Exchange Commission (SEC) hatched from the New Deal’s heady days. Many thought unfettered capitalism was done, disinterested technocrats could smooth free-market excesses and regulate economic affairs more fairly and efficiently. FDR and many others—wrongly as it turned out—blamed the 1929 market crash on insufficient government oversight. The SEC now has a $1.6 billion budget, over 4,500 employees, and eleven regional offices. It typifies federal agencies with its pedigree: old, slow, bloated, obsessed with credentialism, self-importance, and arrogance. Feeding on the air of entitlement of fading upper-class institutions that accomplish “little with a lot” of other people’s funds, the Harvard initiative reflected the increasing inebriation of elite American education. Focusing on stopping progress, barring new power plants, dismantling chemical facilities, mobilizing against Israel, and other reactionary pursuits, Ivy institutions are pursuing fancies of a declining intellectual and business elite, full of chemophobic nags and luddite lame-ducks quacking away on their miasmic pools of old money as the world whirls past them. When bright but indoctrinated young minds graduate from these formerly august institutions many move to Washington, DC. They come to work at places like the SEC and other name-brand agencies. They come to enforce the dogma they learned, they come to oversee the American experiment without any responsibility for the results, they come to feed the Machine. SEC chairman Jay Clayton typifies this path: Ivy league undergraduate to Cambridge, back to the Ivy League for law school, a federal clerkship, a big law firm and adjunct Ivy League teaching position, and finally to head a federal agency. Mr. Clayton undoubtedly worked hard for his success as did those that came before and after him. But no one who takes this path starts a business, takes out a business loan, meets a payroll, files for bankruptcy, or goes without lunch because of the first four. The question is who benefits and at what cost? Plan for Improving Program Performance: To address the issue of timeliness in investigations, the Division is taking measures that include emphasizing expediency in quarterly case reviews, promoting best practices regarding efficiencies in various phases of the investigative process, leveraging data analytics capabilities, and conducting training on tools that expedite investigations. Strategic Goal 1: The Commission believes that its rules and regulations should be drafted to enable market participants to clearly understand their obligations under the federal securities laws and to conduct their activities in compliance with law. The Commission aims to promulgate rules that are clearly written, easily understood, and tailored toward specific ends. Strategic Goal 1. Of 10 performance targets, the agency met or exceeded nine and did not meet one. The SEC devotes a large share of resources responding to no-action letters and interpretive and other requests from regulated entities, public companies, and other outside parties. The agency is committed to speeding the response to such requests. Providing clear guidance in a timely manner is certainly praiseworthy and hitting 9 of 10 metrics seems great. But dig a little and the picture becomes less rosy. For instance, in the Trading and Markets (TM) division: “The target is based on a fixed deadline for responses to written requests for no-action letters, exemptive applications, and written interpretive requests (collectively, “requests”). Some requests are extremely complex and require extensive consideration and consultation both within and outside TM.” (Emphasis added). What’s the deadline? They don’t say. How long is it taking for complex issues, like crypto? Again, they don’t say. On a brighter note, they’ll return phone calls or emails within two weeks. One place SEC Machinists admittedly fail is the Enforcement Division. Being under SEC investigation according to one securities lawyer is like “being in hell without dying.” Given the stress and expense, the SEC’s goal is to bring enforcement actions within two years of opening an investigation. They only met that goal 53% of the time. And the Machine isn’t shy about what happens if you challenge them: “In addition to victories in the cases the agency brings to trial, the SEC’s litigation efforts also help the SEC obtain strong settlements in other cases by providing a credible trial threat and making it clear that the SEC will go deep into litigation and to trial, if necessary, in order to obtain appropriate relief.” Translation: our budget is unlimited, yours isn’t, don’t f*ck with us. Compare the SEC’s rosy view with those that engage SEC guidance and advise clients. It is less sanguine. Crowdfund Insider recently published two articles about guidance on crypto issues. Some chose to remain anonymous as to not upset the Machine. But while there are many crypto asset platforms heading down this path, these platforms must first become a registered broker-dealer. As one may expect, this process can take some time. But in Lerner’s opinion, the feds are dragging their feet for far too long, overly concerned about getting it wrong. Lerner says they punish everyone who does not pursue a compliant process but the enigma is there is no clearly defined compliant option. Communication between divisions within the SEC may be a problem as well. Lerner is concerned there has been a disconnect, at times, between some of the larger segments of the securities regulator. The Commission has been slow to create an effective management and information process for crypto asset innovation. Trading and Markets must coordinate with CorpFin and, meanwhile, Enforcement is investigating dozens or hundreds of allegations of crypto fraud. As a federal bureaucracy, the SEC can be very siloed at times. Standing athwart the Machine like a 21st century Bill Buckley yelling “Stop!” is Commissioner Hester Peirce aka CryptoMom. Peirce recently spoke at the Digital Chamber of Commerce’s Blockchain conference. Despite her Machinist background she has the entrepreneur’s government-skeptic eye. Unfortunately, her ability to affect any real change is limited by her single vote and voice. As she discussed the various issues the crypto-sphere has asked for three years e.g. When will we get token guidance? What’s the path forward for security tokens? Why hasn’t the Commission approved any Reg A+ token sales? Can we do utility tokens? Are you concerned entrepreneurs will leave the US? Peirce repeatedly suggested companies advise her so she can follow up, educate her on vexing issues, and provide policy solutions she can promote. This leaves the US to slowly lose influence as technologists, entrepreneurs, and innovators won’t wait over two years for an Ivy League-trained lawyer to green light a project or bankrupt it. In the meantime, France, (FRANCE!) will soon allow ICOs without a formal approval process. The people at the SEC have good motives, they do their jobs according to the expectations and conventions of the Machine. But they are fiddling away the future of the US economy as the crypto world whirls past them. Jossey PLLC can help capitalize your business!